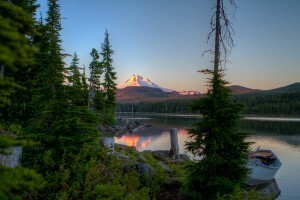 A friend told us that her favorite place to camp in Oregon was Olallie Lake. So one Monday morning, my family and I hopped into our Toyota Sienna with all of our camping gear, I plugged Olallie Lake into my GPS, and we were off. The GPS said it would take about 3 hours to arrive. The first two hours of the trip went great. We drove up past Detroit Lake, and took a winding mountain road through luscious forests and cascading waterfalls. Since well all love camping, we were excited with anticipation. With about twelve miles to go, the GPS told me to take a right hand turn off of the paved mountain road onto a dirt road. Though it was only twelve miles, the GPS said we would arrive in 1 hour. This was no surprise, since one has to drive slower on dirt roads in the mountains. Five hours later we pulled in to Olallie Lake. Nevertheless, we were relieved to have even arrived. The road which the GPS took us down was nearly impassible. The road was nearly overgrown on both sides, with sometimes little more than two feet of visible road showing through all the brush, branches, and brambles. Every few feet there were huge potholes or giant rocks which had to be carefully avoided. On the one hand, if our Sienna drove into one of those potholes, I knew it would not get back out, and on the other hand, if we drove over one of the giant boulders in the road, I knew it would rip the underside off our van. There were frequent times where my wife and I had to get out of the van to roll boulders out of the middle of the road. As we were drove along at 2 miles per hour, we encountered many 4WD vehicles coming back down. Usually, one or the other of us would have to back up to find a place where one of us could pass the other. And without fail, as they passed, the driver of the other vehicle rolled down his window, looked at us in our Sienna van, and told us to turn back. Even they, with their 4WD, could not travel the road ahead. At numerous times in those 5 hours, my wife and children had to get out of the Sienna while I crept along the treacherous road, slowly maneuvering around the potholes and rocks ahead of me, while carefully keeping my eye on the precipitous drop-off to the right. As I look back now, it truly is a miracle that we made it to Olallie Lake. Yet when we arrived, I was absolutely shocked to discover that there were dozens of cars and campers already there. And most of the cars were the little two-door and four-door sedans you see driving around a major city; none of them could have traversed the road we had just traveled. “I followed my GPS,” I told him. “Yeah,” he said. “A GPS is great for city driving, but once you get out into the hills, it doesn’t know the difference between a good dirt road, and an impassible mountain road which not even a 4WD truck can handle. Don’t follow your GPS when you go home.” He then pulled out a map and showed me the proper way to get home. We had a great week of camping—probably the best week of my entire life. We saw eagles. We went on hikes. We had deer, ducks, and chipmunks in our campsite. We picked huckleberries. We played games. Talked around the fire. Read books. Went rafting. It was a wonderful week of camping. And then traveled home. And just as the camp host had said, the road was a beautifully smooth dirt road for a mile or two, and then pavement all the rest of the way home. We made it in less than three hours. I learned that day that my GPS, my infallible roadmap which I blindly follow around most of the time, was not infallible in all situations and circumstances. By following it, it had actually endangered not only my vehicle, but the life of my family as well. What else do I blindly follow in life, thinking it is an infallible guide for what I should think and how I should live? Even if this approach is safe 99% of the time, what happens when I follow it that 1% of the time when I shouldn’t, and it leads me down a road from which there is (almost) no return? Yes, I am talking about the Bible. Reading, studying, memorizing, and learning the Bible has been my life passion for as long as I can remember. I remember the thrill of getting my own personal Bible in Kindergarten when I learned to read. I remember in high school at the lunch break, going out and sitting in a car to read my Bible for 30 minutes while all my friends went to shoot hoops or take a break. I remember as a pastor, sitting down eagerly every Monday morning to begin the study process of preparing a sermon for the next week. But a few years back, the Bible I thought I knew led me down a path that almost destroyed my life and my family. This caused me to step back and reconsider and rethink everything I thought I knew about the Bible, how to read it, and what it means. I have been doing that for six or seven years now. Some days I think I am getting closer to wherever it is I’m headed; but other days, it feels like I have only just begun. But I believe that if I keep driving down this rock and pothole filled road, I will eventually arrive at Olallie Lake, where I will enjoy the best week of camping of my life. And I really think I’m getting close. This post is part of the January 2015 Synchroblog. Here are links to the other contributors. 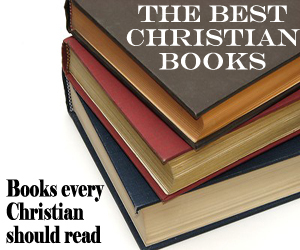 I believe that if we rightly understand it, that the Bible will never lead us wrong. But I do think that it is easy to get locked into a thought framework that doesn’t allow us to see what the authors intended, and that blindly following the wrong understanding of Scripture is no better than blindly following anything else. We always need to be open to correction, or it can get ugly. Yes, that may be true. But can we ever be sure we are rightly understanding the Bible? I cannot tell you how many times I have thought I have rightly understood the Bible, only to learn a year or so later that I was hopelessly confused about a certain text or passage. So as you say, humility is critical! That is why we must always be listening to the Spirit. I agree with Steve. The bible is a great source of knowledge and wisdom for any who care to read it. But if you open yourself up to the proptings and guidance of the Spirit it can be so much more. At one point during my journey last year, I was felling rather tired and dejected. I opened my bible and chose a random verse seeking His guidence. I don’t remember what verse it was but it seemed to be saying ‘Get over it and get back to work’. It was exactly what I needed. Yes, the Bible and Spirit, in connection with life and relationships are a good way of approaching all of these. Yes, I occasionally read CARM as well. I do believe in inerrancy as well, but only in the original manuscripts. And of course, any errors that have crept in affect less than 1% of the texts. But you are right, we must use our minds to understand what is written. Excited about reading your bible in kindergarten !! Reading your bible at lunch time in HS. Glad to hear you didn’t inadvertently strand yourself and your family. But I thought your post was just getting started when you talked about the way you perceive the scripture as having changed- that was the part I wanted to sink my teeth into. Can you direct me to where I can learn more about that transformation or elaborate? Oh my. No, I am not sure I have written specifically about this, and I can see how my statement might raise some red flags with some people. 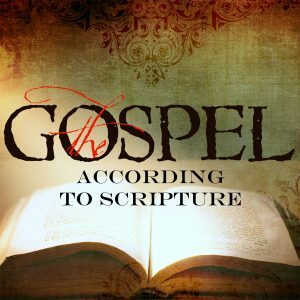 I am still quite conservative when it comes to the text of Scripture. I believe in inerrancy and inspiration. Unless we defer to the authority of a magisterium, and allow it to tell us what the Bible means and what we should believe, our understanding of the Bible and our theologies inevitably differ. Curiously, however, many of those groups who do not bow to the authority of an actual magisterium, nevertheless behave as if they themselves are such an entity and attempt to define for all their adherents exactly what the Bible says on all things and therefore what all good Christians should, even must, believe. Such a well-defined system inevitably appeals to those who crave certainty. Their belief in God and Bible is cradled in their system of absolute certainty that allows no deviation from an absolute standard of doctrine which is presumably based on a singular understanding of the Bible. Some of us, in a not so dim and distant past fell under the spell of such psuedo-magisterial systems and supposed them to be true and accurate in all things. That is, until the day they almost led us too off the top of a cliff. I would say the fault lies not in the Scripture itself, but in what we have been told it says by those who adhere to the all-high and never-in-error authority of whatever magisterium they bow down to. Yes, I am saying it is possible to worship and bow down to a belief system that is based on what someone or some group has decided Scripture says. Yes, we often worship a system rather than the Savior, whether it is a system of theology or a system of religion. Ricky, I responded to Jeremy’s post, not to your comment, and was not referring to books. The magisterium is not a book or books. I did not say “nothing is certain”. I am not interested in a debate with you or anyone. Evidently you are responding to what someone else said. I come to wonder, if what we read out of scripture needs a proper interpretation of it following some basic principals to be in the proper context and we don’t follow those simple rules, then what we interpret creates in our minds a false will of God and we follow this so called “Gods will” are we going down the wrong path? So how do I know I am on the right path and in Gods will as we convince ourselves that we are. We seem to make our own judgements on our life yet it is possible we could be dead wrong? tell me someone!!! I’ve had similar questions on my mind recently. Some thoughts from a simple guy with no letters behind his name and who knows nothing much about theology. During Jesus’ time the interpretation of the OT was weighted down with opinions and doctrines of men and the doctors of the law loaded burdens upon men shoulders. I think we have something similar today. 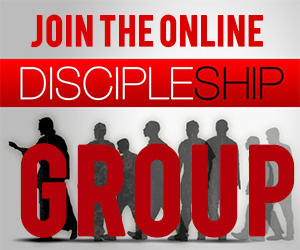 A lot of self-proclaimed teachers making it all complex and confusing for someone who truly wants to follow Christ. So what did Jesus do? I’m sure you know. He reduced everything down to two commandments and then combined them into one and said if we do this, the law is fulfilled. We’re on the right path. If we love Him, we keep His commandments. And His commandments were to love. Paul and John and Peter reiterate this teaching in various places. So my conclusion of the matter, painted with a very, very broad brush: Love. Just love with a godly love and you’re on the right path. If we love, I’m sure that God will make an orderly arrangement of the rest of our lives and get us to where we need to go. Let love be the motivator. I was never one for that I “feel” like God is leading me to do this or that. I think pulpits and classrooms and the missionary fields are made up of people who decided for themselves how they would serve the Lord and were never appointed to such a position. Could explain why things “seem” such a mess. So love, and you’re on the right path. Like Paul said, it never fails and is eternal. Everything else just makes us all crazy and confused and worried about too much. I agree with what Dave wrote. I think the litmus test of theology and proper understanding of Scripture is love. God is love, and Jesus revealed the love of God to us in laying down His life for us. So as our theology leads us to love, we can know that our theology is reflecting the heart of God. 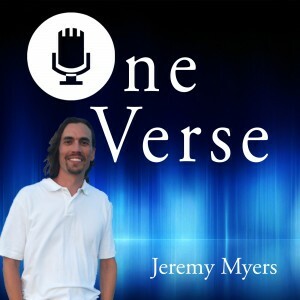 i really liked this blog Jeremy, nicely written! Have you read much from Peter Enns? The bible is a touchy subject but I believe it must be discussed and discussed without fear. The difficult texts should be questioned not only from a scriptural standpoint but from history, science, logic, anthropology and all other means. To me this is the only way we are taking the book seriously. I believe this is the best path to Olallie. I love Peter Enns. 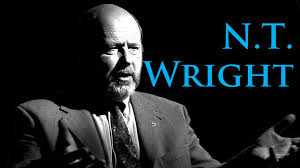 I have read two or three of his books. He makes me think and laugh at the same time, which is a disarming way of writing on challenging topics. Just make sure you use history, science, etc… to better understand the bible and not to refute it. God’s word is solid. Man’s ideas are shaky. Yes, all the various contexts should be consulted. Of course, no one can consult ALL the contexts, and so we must always leave room for humility… we may be wrong! Matthew, just so I understand where you are comming from. Are you saying that the Bible is perfect, without error and no matter what we find in science, history, anthropology or anything else we are to look to the Bible as the final say? If that is where you are at I respect your position and will not debate. If not I am open to a dialog. I used to be a big believer in the big bang, evolution, and other mainstream philosophies. But in the last few years I’ve learned that there is, in fact, no solid evidence to support these ideas and a great deal to support the biblical account. We all see the same facts but our interpretations are dependant on our chosen perspectives. But, as you seem to be saying, we are not here to create arguements. Jeremy your post is very thought provoking. Your story is great by the way. What a road trip to the lake you went on. Wow oh Wow – your poor wife. My husband took our van up a crazy mountain road one time and we made it. But we had to go back down it. There was no other road. Finally we got a great truck that is a 4wd. Much better. The Bible is complex and I think I get what your saying….. But I’m not sure. ???? In my simple words – The Bible Is My Instruction Manual For How To Live My Life. It is not the most easy and clear cut manual to follow. I have seen so many people, including myself, take the word of God out of context. And lives become messy. There is great wisdom in looking back at how our life parallels with the life of Jesus. And God’s greatest command is to love one another. One must take time to reflect and see how their own life resembles love. When I look back on my life – I have truly falling short of living like Jesus and loving others. I run from Bible Reading Believers who think they have arrived in complete knowledge of God’s word. Therefore, I appreciate your post, you have reminded me that the Bible is a road map. Living life is the only way I will every know if I am following and understanding God’s directions. We will know we are Christians following truth by our fruit. God’s spirit is love, patience, joy, hope, and so forth…. The last thing, I think I want to say is this —- Following any road on our journey in life takes faith. It’s just picking the right road. I believe there is only one road to take as a Christian. I just don’t know how to walk down it all the time. I don’t always understand it. I don’t always want to do it. There are roads I will never take again. Great lessons though. Thanks Lisa. I am glad you are on this journey of trying to help others understand the Bible. I am on the same road. Sometimes I find it to be a dead end and have to go back and try again. But as long as we keep on driving, we make progress. I hope. Yes, I am just saying that the Bible is complex, and we must always be willing to admit that we took the wrong road and that another road might be better. Hey Jeremy, loved the story. After an hour or two I’m not sure my family’s composure would have been an uplifting Christian environment! After reading the story, I had a little bit different take on it. The GPS did not fail you as the road did lead you directly to the park. The road was filled with obstacles which made reaching your goal much more arduous and time laden. Had you not followed the GPS the road would have been easy, smooth, less of a challenge. When we listen to the voice of God along life’s journey, are we always to expect an easy, smooth road? Is God’s will always that we have as little pain, and challenge as possible? No, not always. Sometimes God takes us on journeys fraught with danger, pain, and challenge designed to expand our faith in Him. I apologize in advance for this question, but for the sake of this take…had your family perished in the mountains would it have been a failure of the GPS? When we encounter obstacles, or even death on the path that God leads us, would that be a failure? Wide is the path that leads to destruction, and narrow, potholed, and riddled with boulders is the path God sometimes calls us to walk. Jeremy, I understand the analogy you are putting forth, and it is a good one. 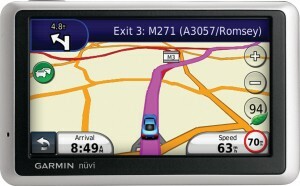 Did the GPS (Bible) fail you? Had you ended up at Crater Lake I would say yes. Just as I presume now that some of the doctrinal systems you were taught you now question, had you maintained those doctrines for the sake of getting along. 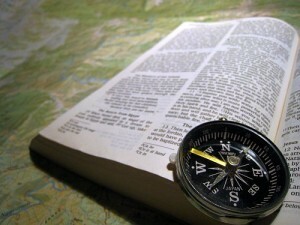 The GPS (Bible) doesn’t fail us…it is the interpretation of men that sometimes does. That is a great point, Ward. You are right, the GPS did not fail me! It just took me on a long, winding, dangerous road. But it did get me there! I think the point I had in my head was the point you made. I still value the Bible as a guide and source of direction and encouragement and instruction. Yet as you point out, some human interpretations or understandings of the Bible can end in disaster. I happened to stumble upon this page and after reading the story and comments felt that I might offer some of my own views. I know that you may find my viewpoint hard to swallow, but of course you do as you please and don’t mind me! I can understand why there is so much confusion among religious followers of the Bible, and that’s simply because far too many of you accept it as truth from God himself. But God was not the author of those ancient texts, because it was obviously penned by men, and being the fallible creatures that we are, there are many mistakes. As proof of this fact, you should understand that it wasn’t so long ago that white settlers in this country held black slaves to forced labor, and virtually all religions of those days condoned the practice. Today if you look around, you will see that another issue has become a problem for the church and the Bible believers. That is the issue of the struggle of the LGBT community to be accepted in the church. It is apparent that it is fast becoming the norm to accept these people rather than reject them. Need I say more? I know that you may feel that my next comment is rather harsh but I’m going to state it nonetheless. 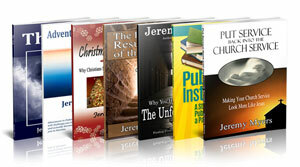 The Bible should be tossed into the dustbin of history and a new guide for believers should be created. I feel that all you could possibly need to know to lead a fruitful life concerning the Holy Spirit could easily fit on fewer than ten pages of text. But if you wish, please feel free to go back and study those ancient Scriptures, but if you do, don’t be surprised to find that it leads to even more confusion for you in the future. lol, oh never mind!…I see that my comment will be moderated, and I have little doubt that it will be rejected, because you are most likely too scared that I may be correct! And you all wonder why you have so many problems in your life? It’s because you are too afraid to face your own fear! For information for all new commenters: If you have not commented before, your comment will be held in moderation until it can be reviewed. Most comments in moderation are spam, including sales, obscenity, etc. Those comments are not posted. All comments are reviewed by our moderators. Comments that amount to name-calling, personal attacks, hate speech, slander, or that post personal details, especially of other people, such as naming names of people who bullied someone are edited or deleted.